Will my insurance cover mental health? What about chemical health and treatment? A guide to understanding how to use your benefits for the best mental health and chemical dependency treatment available to you. Before I go into more detail, I want to share that understanding insurance benefits can be highly nuanced and complicated, and I am not an expert. I help people navigate their benefits daily for treatment of various kinds and here is what I have learned over the years. Please comment or DM me if I get any details wrong or you have anything to add. The reason I am writing this article is due to the general misunderstanding of insurance benefits, and what they cover with the clients and families I work with in my practice. I have even found that most mental health providers do not have anything resembling a firm understanding of insurance benefits and their implications. We providers often find wrapping our heads around insurance benefits to be convoluted, boring and aggravating. Yet, benefits and payer systems are so important to understand because they can be the difference in finding quality treatment, financial stability or even life and death. When trying to figure out what their insurance covers, many of the individuals and families I work with either end up calling their insurance company or trusting the initial provider they see such as myself hoping they are getting accurate information. If the insurance company has an up to date list of in-network providers or the mental health professional has a good understanding of benefits this may not be a bad way to start. However, this is not always the case. Often, when you you call your insurance company, the information they give you is inaccurate. Sometimes different treatments that are in-network are not listed or improperly listed as not covered. Similarly, the first provider you see who is referring you to a specific treatment also may be just as ignorant to what your benefits afford you and just refer you to where they send everyone else. It pays to do your homework, but when you are in a crisis, or don’t even know where to begin navigating the system where do you turn? The below guide will give you a good starting point to understanding the options you have available so you can ask the right questions to your insurance provider or treatment professional. In 2012, I had my first counseling internship at St. Joseph’s Hospital in St Paul, Minnesota, within their outpatient treatment for mental health and substance use disorders. I had worked with clients in the past, but this was the first time I would be able to officially work with them as a counselor. Almost all counselors get into the field of Mental Health and Chemical Dependency (MICD), to work directly with people. Bright-eyed and bushy-tailed counselors to be are informed by our professors that there is more paperwork and navigating bureaucracy in this field than talking and helping. The reason I bring up this internship is that for the first time I realized I needed to understand insurance and payer systems to be a better clinician. If clients are not able to access services what good is my counseling ability? Will my insurance cover mental health and chemical health? Liz, my patient and wise supervisor, sat me down and drew a quick chart that really simplified the different types of payers. Though my brain nearly exploded, I wondered why I had not learned this sooner! I will try to do the same for you, but first here’s some more background. There was a time when Mental Health or Chemical Health services were not covered by insurance as they were not looked at as the same as a medical ailment. 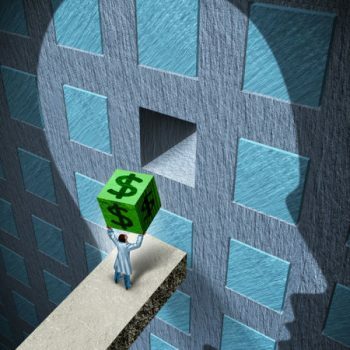 When that changed, and the behavioral health industry started being able to bill the same way as in medical, payers were then responsible for covering mental health and only sometimes chemical health disorders; this could be expensive. Even after it was required to have mental health be covered on all plans, individuals can still opt out of chemical health coverage so always double check to be sure this isn’t the case on your plan! Insurance companies and other payer systems such as Medicare need to be sure the treatments are justified. This is why I have to provide a diagnosis to clients wanting to use insurance, even after one visit! It is easy to villainize the insurance companies or government payers for all the hoops that need to be jumped through. And believe me they provide enough unnecessary roadblocks to care that does their reputation no favors. On the other hand, in our current system, if everyone got any expensive treatment they sought justified or not, healthcare costs would go up for everyone. Sadly, at this point in our society we are far more on the side of individuals not getting enough access to care. For most insurance plans there is profit motive and covering expensive services does not help with the bottom line. Therefore, finding out how to access your mental health or chemical dependency benefits can often be like trying to find out how to make a return of something you bought from a shopping site. They don’t make it obvious or easy because they would prefer you didn’t. To be fair I have had a lot of help from customer service reps at different insurers but the standard for navigating your benefits is far from straightforward. Below is a guide to help you understand what kind of plan you have and what the advantages and disadvantages of those types of plans can be. Commercial plans and Subsidized Plans. Employer-Based Plans: Simply, these are insurance plans you get through an employer. This is the most common form of coverage. In Minnesota, roughly 55% of individuals are covered by an employer sponsored plan from theirs, their spouses or a parent’s job. Marketplace Plans: With the advent of The Affordable Care act, the government subsidizes insurance plans individuals can buy on the marketplace. These are similar to commercial plans but the government acts in the same way the employer does. The individual pays a premium and the rest is subsidized by the government. Prior, if you did not have an employer, or had a pre-existing condition you were out of luck if you wanted any type of plan that was near affordable. These plans can often be great for many, but similar to commercial plans they vary greatly plan to plan and can have many downsides, therefore I am lumping them together for all intents and purposes with commercial plans. In Minnesota 8% of residents are insured under marketplace plans. Much of the cost of premium is covered by your employer: There is generally an employee contribution to the cost of the plan, but much is subsidized by your employer. Depending on the plan, you may have a lot of options to cover mental health and chemical dependency provider: For this type of insurance the access to different providers is the biggest pro as a well as con because commercial plans vary so much from one to the next. Understanding what is offered by a plan is so specific and complicated it can be maddening. However, if someone does have a commercial plan the first thing I do is run the benefits to see what the quality of these benefits are for mental health and chemical health. Potential Access to out-of-state providers: Think of those who come to Minnesota to the Hazelden for treatment or sick patients traveling to the Mayo clinic for the best surgery specialist they can find. Many of those individuals are wealthy and pay out of pocket but your plan may be in-network and cover certain providers in other states. This even goes for some higher end residential MICD treatments (think Betty Ford or Promises Malibu) across the country. Good treatment does not have to be on a beach in California by any means but there are some quality treatments that are in beautiful locations that do provide amazing care. I find so many times clients are unaware that they have access to top quality care in other states because no one really told them. Depending on the plan, there may be lower costs for high quality treatment: Again, this varies greatly between plans, but sometimes you may have a great plan with extensive MICD coverage. I have seen people shocked to learn that a quality MICD residential treatment in another state that would have cost upwards of 50k or more to be fully covered. Deductibles, copays, co-insurance and out-of-pocket (OOP) Max: These gut wrenching phrases are the fine print of insurance plans that ensure the house always wins. If you have extremely high deductibles, copays, co-insurance or OOP max, sometimes it’s like not having insurance at all. You end up paying that full yearly deductible if you or a loved one needs residential treatment for MICD then before you know it the year is up and they all reset. Your insurer may have paid almost nothing and yet you still paid the premiums. Even if the insurer did provide a lot of coverage, with the high deductible you still inquer financial burden in your time of need. Protecting yourself at these vulnerable and unfortunate times is the whole point of insurance in the first place! Yet, you can still end up in serious financial hardship. Often families have to make some really tough choices pinning finances vs. health. Paying premiums: It seems par for the course, but with commercial plans it is likely you have to pay for some or all of the premium. That is money out of your pocket each month. With countries with universal or socialized care, this cost is already built in to their tax system and citizens do not worry about this. When we talk about the government provided plans below you will further see how this is a negative. Specific providers may be out-of-network with your plan: More and more insurance providers are doing away with out-of-network benefits or making them so expensive that few would choose to use them. This means each provider needs to be credentialed with each insurer and negotiate rates. There are so many different plans that each must be run by the provider to see if you are eligible for coverage. I find that more commercial plans are out of network with certain providers than many of the government run or fully government subsidized plans (not the partially subsidized marketplace plans.). A lot of criticism of the newer marketplace plans is that they have more expensive premiums, and higher deductibles/OOP Max with less options of providers you can see. In 2015 I had a marketplace plan that really worked well for me but was shocked that in 2016 the options were way more expensive and inadequate. I had less options of providers and had to pick a single health system, such as North Memorial to see all my providers when I already had established providers in other networks. This really exemplifies the problems with commercial insurance plans. They may deny you coverage: Unfortunately insurance companies are business that seek to make profits like any other. This sets up a situation where there is an incentive for them to deny you services. This is one of the main arguments for government run universal healthcare. Sadly, this means that you may have to fight to get the coverage you need or you may not be able to complete treatment once you do get approved. Many people have died due to being denied mental health and chemical dependency coverage. This is not just a phenomenon in the medical world. Medicaid or Medical Assistance/MinnesotaCare and PMAP Plans: These plans are for lower income residents who are not eligible commercial plans or cannot afford marketplace plans. About 15% of Minnesota residents are on government provided plans for low income individuals. In order to qualify for these plans, you need to be a Minnesota resident and meet a certain income threshold. For example, as a single adult you need to make less than about 17k per year. There are other variables and sometimes individuals can still apply if they have other insurance. Here is a chart of eligibility. Medical Assistance Eligibility. We also have PMAP plans, (Prepaid Medical Assistance Program) which are medicaid plans managed by major insurers such as Blue Cross or UCare. As of recent, when someone is placed on MinnesotaCare they are shortly after transferred to a PMAP managed by the private insurer. The consumer gets to have a choice in which PMAP they choose although options are limited based on which companies choose to opt into the program. i.e. the ones who find it to be financially worthwhile. It is often confusing for clients and providers to tell the difference between a PMAP and Commercial plan for example Blue Cross. If the plan was provided from an employer it is commercial and if it was provided by the state, it is a PMAP. They will often be labeled differently i.e. Blue Plus. Medicare: Medicare is a government provided plan for seniors and those with disabilities. We are hearing a lot about medicare lately due to the debate about giving citizens access to medicare i.e. universal coverage. There are certainly advantages to being on medicare but there are some serious disadvantages when trying to access mental health and chemical health services. They generally cost nothing out of pocket! : There are no deductibles, co-insurance, copays, OOP Max. Nothing! If you qualify for MinnesotaCare you are not responsible for out of pocket costs costs. However, this is different with Medicare, where there may be some out of pocket costs and the need for many to purchase supplemental plans. To be honest, this is not my area of expertise, but reference here for out of pocket costs. Medicare Costs. They are covered by most all healthcare providers in Minnesota: In Minnesota we have one of the most, if not the most generous medicaid programs in the country with MinnesotaCare. I had a client move from Florida to Minnesota for treatment. I got him onto Minnesota Care and he was shocked at how good the benefits were. He came into my office and told me, “I went to see the doctor, and it wasn’t in some crowded clinic that only sees people on medicaid. I didn’t have to wait for hours and the doctor was actually a legitimate good doctor!” Sadly the quality of care and accessibility to care for those on medicaid are generally not nearly the same quality as here in Minnesota. It easy to sign up for, and you do not have to be a resident long to get on a plan: Sometimes for my out of state clients, I will recommend them to come to Minnesota for treatment because of our benefits system so they can continue to get adequate coverage for as long as they are here. This is another reason why Minnesota is attractive for the immigrant population. Certainly not the weather. They are often good about approving services: I have rarely heard of someone being denied treatment by either Medical Assistance or a PMAP plan. If a provider makes a clinical recommendation and properly documents the rationale they rarely in my experience push back. Maybe a provider reading this has had a different experience but few of my clients have been denied necessary care. Be poor with great healthcare or be comfortable with no healthcare? : This is often a decision individuals have to make when they are hovering around the income threshold of medical assistance. If I am making one dollar under the about $17,000 eligibility threshold I can have this amazing free healthcare program but if I am making $17,001 I have nothing and have to purchase a marketplace plan that is way more expensive and get worse coverage. It’s an easy decision, but what if the job you want will pay 30k or even 40k for that matter? You then start to play a game no one should have to play, and this can incentivise individuals to not work instead of get ahead financially because it would mean giving up their healthcare. Many providers will not take Government Provided Plans: Though the coverage can be quite generous for variety of providers there are some providers that will not be covered by a state provided plan. If a client has state insurance they will not be eligible for out of state programs. So no luxury beach treatment or even some of the local higher end local treatments like Hazelden or Beauterre. Not as much for Medical Assistance, but Medicare is very strict about who can provide services. This is one of the things that freaks me out a bit when I hear about medicare for all, though this exclusivity would likely have to change. For example, all Medicare services have to be hospital based. Most of the top treatment centers are not hospital based and aren’t necessarily any cheaper. Therefore, once a senior someone is on Medicare, their treatment options are very limited. This is really sad because they are often denied a quality of care that are afforded to other non-seniors. Another example is that only Social Workers and Psychologists can provide services to seniors and those on disability. As a social worker, that is okay for me but many of my qualified colleagues that are Licensed Counselors, or Marriage and Family therapists cannot see medicare clients. With all these limitations, seniors and those with disabilities are often not given adequate access to the same care others get have to wait much longer and have to go further to get care. Hopefully, this article shed some light on your benefits for mental health and chemical health services. The point of this article is so that you know the right questions to ask when making big decisions as to what type of treatments should I look into or what type of insurance plan should I get. If you have a family member who has a history of mental health or substance use disorders, always make sure you understand what types of treatments you are covered for and what your out-of-pocket costs would be. As bad of a reputation insurance companies get, having a good plan can save your life financially and literally, so it is important to make informed choices. Equally, having a provider who understands benefits is essential to get access to the right care. Feel free to shoot me a message or give me a call if you or a family member is needing help accessing care. Am I Living With a Functional Addict? First of all, there really isn’t such a thing as a functional addict. Individuals who have moderate or severe substance use disorders (addictions) have severe dysfunctions; it is part of the definition. It makes more sense to identify individuals with substance use disorders that are relatively high-functioning as opposed to using the fallacious term functional addict. A number of individuals with moderate to severe substance use disorders do appear to be able to control certain aspects of their lives while at the same time hiding dysfunctional behavior. Many high-functioning addicts are working, have good incomes, are college-educated, and are often partnered or married. 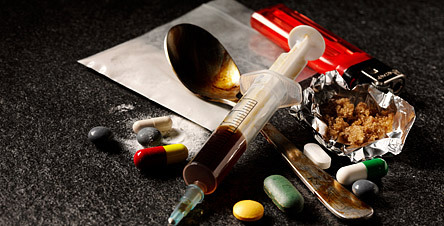 They use their drug of choice at rates that would qualify them as having substance use disorders but are able to conceal many of the complications associated with their substance abuse. These individuals are relatively successful at restricting their substance use and abuse to specific times or situations as opposed to appearing as if they are driven to use substances. Their ability to restrict their use leads to the illusion that the person controls their substance use or abuse; however, this is not the case. 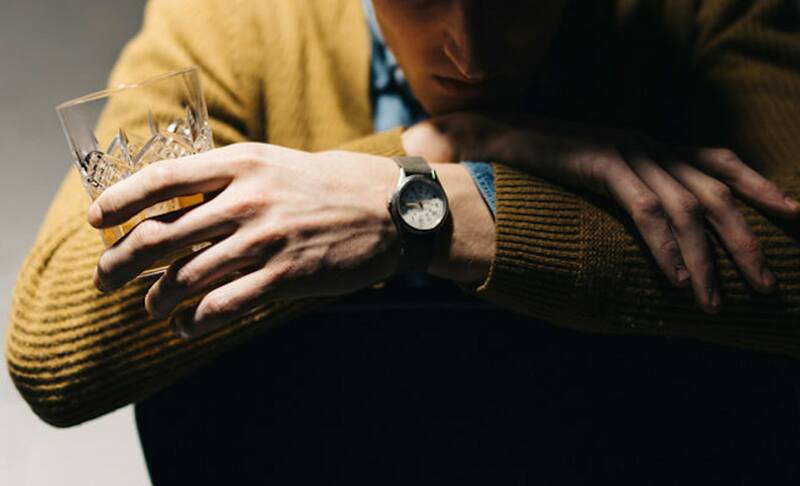 Simply restricting use to specific times is not a disqualifying feature of having a substance use disorder and in fact is in line with the diagnostic criteria set forth by APA. High-functioning addicts will often engage friends or family members to cover up for them when they do experience issues with their substance abuse. For instance, an individual recovering from a long night of drug abuse may ask a spouse to call into work for them and say they are sick, or may hold off paying certain bills or do without certain accommodations as a result of financial issues associated with their substance use. The majority of relatively high-functioning addicts typically suffer from some other psychological disorder, such as anxiety and depression, and they have convinced friends and family that these issues are just the “normal” state of affairs for them. Cognitive behavioral therapy (CBT) is a classification of mental health counseling founded in the 1960s by Dr. Aaron T. Beck. Cognitive behavioral therapy is commonly used to help people address problematic thoughts and feelings to overcome addiction. 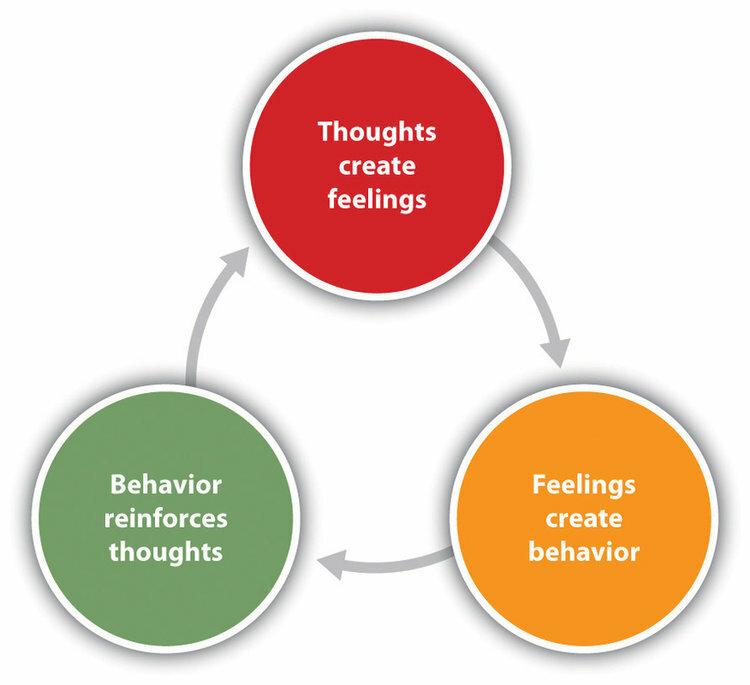 CBT teaches recovering addicts to discover how the connections between their thoughts, feelings and actions impacts their actions and recovery. Cognitive behavioral therapy shows that many harmful actions and emotions are not logical or rational. These feelings and behaviors may come from past experiences or environmental factors. When an addicted person understands why they feel or act a certain way — and how those feelings and actions lead to substance use — they are better equipped to overcome their addiction. Cognitive behavioral therapists help recovering addicts identify their negative “automatic thoughts.” An automatic thought is based on impulse and often comes from misconceptions and internalized feelings of self-doubt and fear. Often, people try to self-medicate these painful thoughts and feelings by drinking or abusing drugs. By continually revisiting painful memories, recovering addicts can reduce the pain caused by them. They can then learn new, positive behaviors to replace their drug or alcohol use. Automatic negative thoughts are often a root cause of depression and anxiety disorders, which are common co-occurring disorders with addiction. This means automatic thoughts can make someone more likely to abuse drugs and alcohol as well. Triggers — situations that “trigger” cravings throughout the day — keep many addicted people from getting sober. Cognitive behavioral therapy helps recovering addicts deal with triggers in three key ways, according to the National Institute on Drug Abuse. Identify which circumstances lead to using drugs or drinking. Remove yourself from trigger situations whenever possible or appropriate. Use CBT techniques to address and alleviate emotions and thoughts that lead to substance abuse. Cognitive behavioral therapy techniques can be practiced outside the therapist’s office. Recovering addicts can do many CBT exercises on their own, from home or in a group setting. Cognitive behavioral therapists use specific exercises to help addiction recovery. Recovering addicts examine automatic negative thoughts and look for objective evidence supporting and disproving those thoughts. They list evidence for and against their automatic thoughts to compare and contrast. The goal is to help them think more balanced and less harsh thoughts by critically evaluating what they’re thinking. These exercises contrast negative thoughts against positive ones to see which is more effective in changing behavior. Some people respond better to self-kindness and others to self-criticism. Behavioral experiments are all about figuring out what works best for the individual. Example: “If I’m hard on myself after binge drinking, I’ll binge drink less” vs. “If I talk kindly to myself after binge drinking, I’ll binge drink less. In this exercise, recovering addicts think of a memory that produces powerful negative feelings. They take note of every sight, sound, emotion, thought and impulse in that moment. By frequently revisiting painful memories, the addicted person can reduce the anxiety caused by them over time. Example: A young man focuses on a painful childhood memory. He recalls every detail and emotion in the moment. With repeated exposure the memory causes him less and less pain, reducing the need to self-medicate with drugs or alcohol. This technique involves making a weekly list of healthy, fun activities to break up daily routines. These tasks should be simple and easy to perform while encouraging positive emotions. Scheduling these pleasant activities helps reduce negative automatic thoughts and the subsequent need to use drugs or drink. Example: Instead of using drugs or drinking on the job, an overworked financial advisor relaxes at his desk for fifteen minutes every day. He uses that time to find and enjoy a new song from a new musical artist. Cognitive behavioral therapy offers a hands-on alternative to less engaging therapy methods. Recovering addicts do more than talk to their therapists during a CBT session and therapists do more than passively listen. Instead, addicts and therapists work together to treat addiction. Cognitive behavioral therapy is founded on action-focused, rapid treatment. Many 60 to 90 day rehabilitation programs include CBT to provide people with immediate coping techniques. Some psychotherapy techniques might take years to have a strong impact. CBT often requires 16 sessions to produce meaningful results. Cognitive behavioral therapy is adaptable, making it effective in inpatient and outpatient settings, as well as individual and group counseling environments. Many therapists and addiction treatment centers include CBT as part of their recovery plans. Overcoming addiction requires many people and resources. Hybrid Counseling can help you get sober and avoid relapse. Mental health counselors are available to teach the life skills necessary to maintain recovery. Make a change today by contacting us. The local County Prosecutor’s Office may offer a Diversion Program to criminal defendants without significant prior records or who have been charged with certain offenses, and upon completion of the specific requirements, the charges will be dismissed. Depending on circumstances of a case, in addition to paying court, clerk, program fees, defendants must meet additional obligations. Requirements range from varying degrees of alcohol and drug education to substance abuse evaluations and the resulting treatment or therapy. Sometimes defendants are still required to do community service, and pay restitution where appropriate but the reduction in sentence is a good reason to look into Hybrid Counseling’s Online Diversion Program. We can fulfill requirements in any state, and in any county. Hybrid Counseling uses the E*Version program which is client directed towards their goals, as well as their obligations to court, etc. Using a variety of online resources to communicate with their teacher and demonstrate they are making changes, clients are given a variety of incentives to meet their goals including financial, peer accountability, and early graduation as a means to keep clients engaged. This program is innovation at its best, as it uses numerous evidence-based counseling approaches and theories around forming new habits. How do I apply for Online Diversion Program? There is no application process for our Online Diversion Program. Arresting agencies such as police, sheriff or highway patrol forward reports from arrests and citation tickets to the County Prosecutor’s Office for charging. Prosecutor staff must examine each case report and the circumstances surrounding them to determine whether a defendant qualifies for ODP. Defendants cannot apply for ODP. How much does Online Diversion Program (ODP) Cost/What do I have to do for ODP? The costs and fees associated with ODP vary depending on the requirements a defendant must complete for the program. Requirements are determined based on the charges filed, circumstances of the case and the defendant’s prior criminal background. What happens if I decline Diversion Program and go to court instead? If a defendant does not participate in DP, he/she will have an initial hearing, in which he/she appears before the Judge and enters a plea of either “guilty” or “not guilty.” If a defendant pleads “guilty”, then a conviction will be entered on his/her record and he/she will be sentenced accordingly. If a defendant pleads “not guilty,” then the case will be set for a pre-trial conference and a trial date; the defendant may be evaluated for a public defender (if one is requested) or may hire a private attorney, and the case will continue in court. Hybrid Counseling is not located in my county. Can I still do Online Diversion Program? Most often, yes. We will work with you to fulfill your requirements whichever state and county you need your requirements satisfied. It is not uncommon for DP defendants to need to try and complete their DP requirements outside of your County. DP staff will try to assist defendants who are eligible and willing to do ODP but would find it a hardship to return to the county after they have been offered DP at their initial court date. It does, however, become chiefly the defendant’s responsibility to work out where and how he/she will complete the requirements, and he/she must verify with ODP staff before completing requirements that everything is satisfactory. Will Online Diversion Program keep this incident completely off of my record? ODP is designed to help a defendant keep a criminal conviction off his/her record with regard to the offense charged. If he/she successfully completes the program, the court record will show that the charge was dismissed. The benefit of ODP is that there is no criminal conviction and the defendant does not plead guilty. 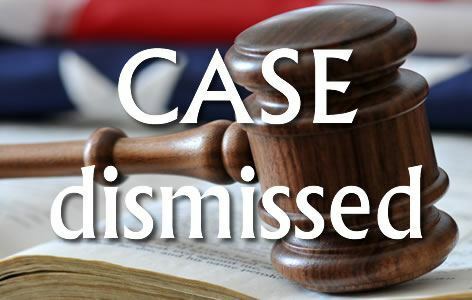 When asked if he/she has ever been convicted of or plead guilty to a criminal offense, a defendant may answer “no” with regard to the charge in a successfully completed ODP case. However, a record that an arrest occurred, or that the charge was filed in court, will not be expunged or erased. Police records of an arrest or citation are beyond the control of the Prosecutor’s Office. 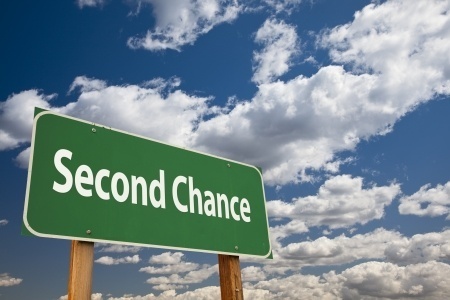 If a defendant is asked if he/she has ever been charged with a criminal offense, he/she must always answer “Yes.” Upon successful completion of the program, a defendant may specify that the charge was dismissed. In that case, when a background check is run the court record will show that an order of conditional dismissal was issued and the case was closed. If you have the option of our Online Diversion Program, contact Hybrid Counseling here or call us at (877)437-9399 with any questions you may have. Let us help. Is addiction a disease or simply a lack of willpower? Addiction is defined as a chronic, relapsing disorder characterized by compulsive drug seeking and use despite adverse consequences. It is a disease, and is also considered a brain disorder, because it involves functional changes to brain circuits involved in reward, stress, and self-control, and those changes may last a long time after a person has stopped taking drugs. Addiction is a lot like other diseases, such as heart disease. Both disrupt the normal, healthy functioning of an organ in the body, both have serious harmful effects, and both are, in many cases, preventable and treatable. If left untreated, they can last a lifetime and may lead to death. To feel better. Some people who suffer from social anxiety, stress, and depression start using drugs to try to feel less anxious. Stress can play a major role in starting and continuing drug use as well as relapse (return to drug use) in patients recovering from addiction. To do better. Some people feel pressure to improve their focus in school or at work or their abilities in sports. This can play a role in trying or continuing to use drugs, such as prescription stimulants or cocaine. Curiosity and social pressure. In this respect, teens are particularly at risk because peer pressure can be very strong. Teens are more likely than adults to act in risky or daring ways to impress their friends and show their independence from parents and social rules. When they first use a drug, people may perceive what seem to be positive effects. They also may believe they can control their use. But drugs can quickly take over a person’s life. Over time, if drug use continues, other pleasurable activities become less pleasurable, and the person has to take the drug just to feel “normal.” They have a hard time controlling their need to take drugs even though it causes many problems for themselves and their loved ones. Some people may start to feel the need to take more of a drug or take it more often, even in the early stages of their drug use. These are the telltale signs of an addiction. Do people freely choose to keep using drugs? The initial decision to take drugs is typically voluntary. But with continued use, a person’s ability to exert self-control can become seriously impaired; this impairment in self-control is the hallmark of addiction. Brain imaging studies of people with addiction show physical changes in areas of the brain that are critical to judgment, decision-making, learning and memory, and behavior control. These changes help explain the compulsive nature of addiction. As with other diseases and disorders, the likelihood of developing an addiction differs from person to person, and no single factor determines whether a person will become addicted to drugs. In general, the more risk factors a person has, the greater the chance that taking drugs will lead to drug use and addiction. Protective factors, on the other hand, reduce a person’s risk. Risk and protective factors may be either environmental or biological. Biological factors that can affect a person’s risk of addiction include their genes, stage of development, and even gender or ethnicity. Scientists estimate that genes, including the effects environmental factors have on a person’s gene expression, called epigenetics, account for between 40 and 60 percent of a person’s risk of addiction. Also, teens and people with mental disorders are at greater risk of drug use and addiction than others. Home and Family. 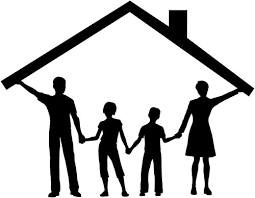 The home environment, especially during childhood, is a very important factor. Parents or older family members who use drugs or misuse alcohol, or who break the law, can increase children’s risk of future drug problems. Peer and School. Friends and other peers can have an increasingly strong influence during the teen years. Teens who use drugs can sway even those without risk factors to try drugs for the first time. Struggling in school or having poor social skills can put a child at further risk for using or becoming addicted to drugs. How the drug is taken. Smoking a drug or injecting it into a vein increases its addictive potential. Both smoked and injected drugs enter the brain within seconds, producing a powerful rush of pleasure. However, this intense high can fade within a few minutes. Scientists believe this starkly felt contrast drives some people to repeated drug taking in an attempt to recapture the fleeting pleasurable state. One of the brain areas still maturing during adolescence is the prefrontal cortex—the part of the brain that allows people to assess situations, make sound decisions, and keep emotions and desires under control. The fact that this critical part of a teen’s brain is still a work in progress puts them at increased risk for making poor decisions, such as trying drugs or continuing to take them. Introducing drugs during this period of development may cause brain changes that have profound and long-lasting consequences. According to mentalhealth.gov, mental health refers to a person’s emotional, psychological and social well-being, affecting how we think, feel and act. Many factors impact a person’s predisposition for mental health problems, including biology, family history, trauma or abuse. Many times, these factors of mental health also often lend to addiction and mental illness. For maintaining mental health, you need a delicate balance between social interactions, stress levels, sleep, nutrition and more. Adding drugs and other addictive substances into the mix often has negative implications on overall health. For many, addiction and mental health go hand in hand. In a clinical setting, it can be difficult to identify which came first once a person is in the throes of a substance use disorder. Because mental health is such an integral part of a person’s overall health, both addiction and mental illness need to be treated when both are at play. Co-occuring disorders are medically identified combinations of addiction and mental illness, like alcoholism alongside depression. If addiction is an issue, it cannot be treated alone. According to the National Institute on Drug Abuse, 53.7 percent of people with co-occurring disorders are not treated for their addiction or mental health problems, creating a never-ending cycle of substance use and mental illness. Hybrid Counseling will help you understand and work with you to treat both addiction and mental health problems in tandem, ensuring that both are addressed for a more successful recovery. 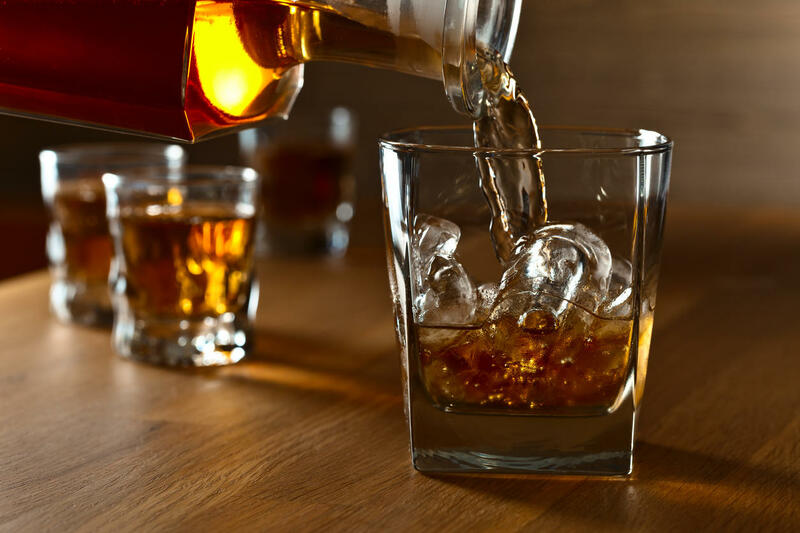 When issues like depression, anxiety, bipolar disorder, schizophrenia, and eating disorders are identified by a professional, it is much easier to understand triggers for addiction. Maintaining mental health starts in childhood and is a lifelong endeavour. But having an untroubled childhood doesn’t necessarily ensure a lifetime of mental stability. A balanced family life and caring environment are the foundations of mental health, but prolonged health requires individual maintenance and constant awareness. Just as anyone is susceptible to the flu, everyone is prone to addiction and mental illness without proper checks and balances in place. Understanding how to cope with a change in your mental state is also key. Changes in energy levels, loss of interest in otherwise enjoyable activities, disruption of normal eating habits and extended feelings of emptiness, sadness or guilt can all be symptoms of mental illness. Seeking professional help is a responsible way to manage your emotions and improve your mental health. Hybrid Counseling offers both mental health and chemical assessments to help determine if you or someone you know is struggling with addiction and mental illness. Identifying a problem is the first step toward healing and preventing further issues like drug or alcohol addiction. If you or someone you know is exhibiting signs of mental illness or using drugs or alcohol to cope, reach out to Hybrid Counseling to learn more about treatment options for co-occurring disorders and healthy living. A neurobiological link between PTSD and addiction: Remembering a traumatic experience may increase sensitivity to the rewarding effects of drugs. More than half of PTSD patients also struggle with substance abuse, yet the underlying neural mechanisms of their addiction are not clear. Dopamine receptors in the prefrontal cortex may play a role, as they are involved in the processing of both fear- and reward-related memories. Steven Laviolette and colleagues examined the involvement of two dopamine receptors in the recall of a traumatic experience — a footshock — and subsequent preference for morphine. Rats that were reminded of the troubling experience by an associated scent showed a greater freezing fear response and spent more time in an environment where they previously received a dose of morphine that ordinarily does not produce a preference for a morphine-paired environment. This effect was blocked by activation of the dopamine receptor D1R. A different dopamine receptor, D4R, increased freezing behavior and reward sensitivity after the recall of a minor footshock that does not produce a traumatic memory under normal conditions. The results suggest that abnormal dopamine signals in the prefrontal cortex may underlie the ability of traumatic memories to predispose individuals to addiction by increasing their sensitivity to the rewarding effects of drugs such as opioids. Summary: Recalling traumatic memories enhances the rewarding effects of morphine in male rates, finds new research. These findings may help to explain the co-occurrence of post-traumatic stress disorder (PTSD) and addiction. Mental and substance use disorders affect people from all walks of life and all age groups. These illnesses are common, recurrent, and often serious, but they are treatable and many people do recover. 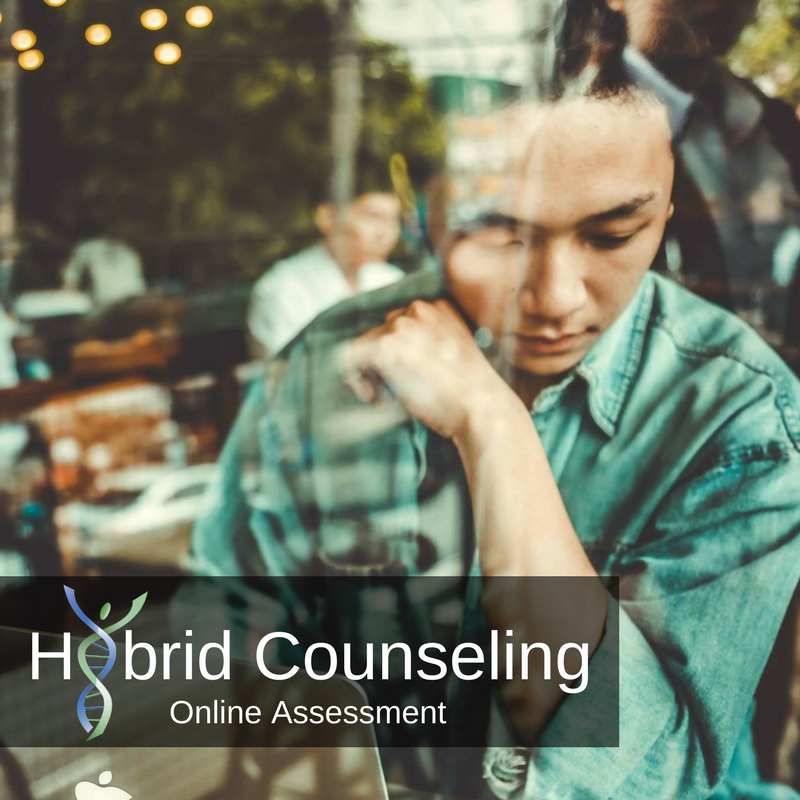 Hybrid Counseling in Minnesota can assist you by administering your mental and chemical health assessment (or Rule 25), online or in- person. Learn about some of the most commonmental and substance use disorders can help people recognize their signs and to seek help. Our mission is to reduce the impact of mental and substance use disorders on America’s communities. Hybrid works to prevent and treat mental and substance use disorders and provide supports for people seeking or already in recovery. Mental disorders involve changes in thinking, mood, and/or behavior. These disorders can affect how we relate to others and make choices. Mental disorders take many different forms, with some rooted in deep levels of anxiety, extreme changes in mood, or reduced ability to focus or behave appropriately. Others involve unwanted, intrusive thoughts and some may result in auditory and visual hallucinations or false beliefs about basic aspects of reality. Reaching a level that can be formally diagnosed often depends on a reduction in a person’s ability to function as a result of the disorder. 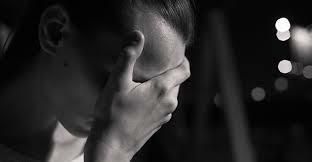 Anxiety disorders are the most common type of mental disorders, followed by depressive disorders. Different mental disorders are more likely to begin and occur at different stages in life and are thus more prevalent in certain age groups. Lifetime anxiety disorders generally have the earliest age of first onset, most commonly around age 6. Other disorders emerge in childhood, approximately 11% of children 4 to 17 years of age (6.4 million) have been diagnosed with attention deficit hyperactivity disorder (ADHD) as of 2011. Schizophrenia spectrum and psychotic disorders emerge later in life, usually in early adulthood. Not all mental health issues first experienced during childhood or adolescence continue into adulthood, and not all mental health issues are first experienced before adulthood. Mental disorders can occur once, reoccur intermittently, or be more chronic in nature. Mental disorders frequently co-occur with each other and with substance use disorders. Because of this and because of variation in symptoms even within one type of disorder, individual situations and symptoms are extremely varied. Serious mental illness among people ages 18 and older is defined at the federal level as having, at any time during the past year, a diagnosable mental, behavior, or emotional disorder that causes serious functional impairment that substantially interferes with or limits one or more major life activities. Serious mental illnesses include major depression, schizophrenia, and bipolar disorder, and other mental disorders that cause serious impairment. In 2014, there were an estimated 9.8 million adults (4.1%) ages 18 and up with a serious mental illness in the past year. People with serious mental illness are more likely to be unemployed, arrested, and/or face inadequate housing compared to those without mental illness. The term serious emotional disturbance (SED) is used to refer to children and youth who have had a diagnosable mental, behavioral, or emotional disorder in the past year, which resulted in functional impairment that substantially interferes with or limits the child’s role or functioning in family, school, or community activities. A Centers for Disease Control and Prevention (CDC) review of population-level information found that estimates of the number of children with a mental disorder range from 13 to 20%, but current national surveys do not have an indicator of SED. In 2014, about 21.5 million Americans ages 12 and older (8.1%) were classified with a substance use disorder in the past year. Of those, 2.6 million had problems with both alcohol and drugs, 4.5 million had problems with drugs but not alcohol, and 14.4 million had problems with alcohol only. Learn more about co-occurring disorders and available treatment by visiting Hybrid Counseling at www.hybridcounseling.com or calling (877) 437-9399. How is telehealth being used to fight against addiction? 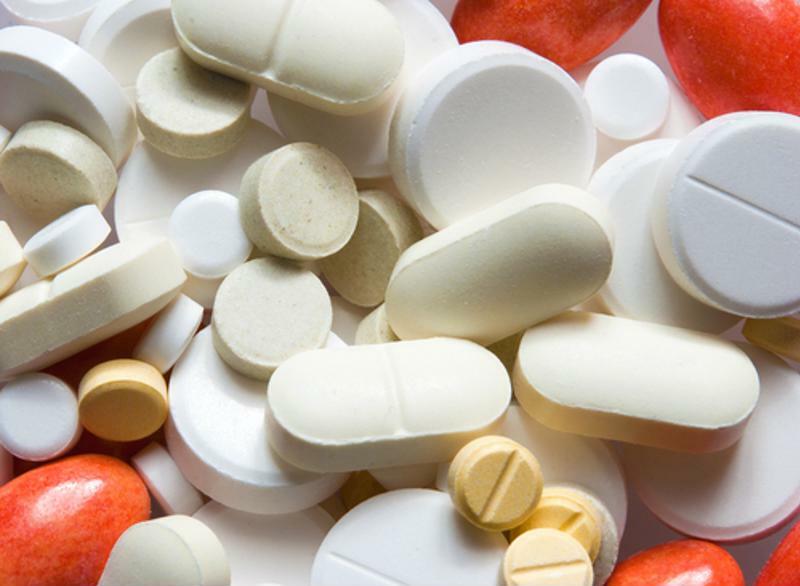 According to the U.S. Department of Health and Human Services, 11.5 million people misused prescription opioids, and 116 people passed away every day due to opioid-related drug overdoses in 2016. Fast forward a year later, and the HHS declared the opioid crisis a public health emergency. Improve access to treatment services. Survey public health data to grasp a better understanding of the epidemic. Support cutting edge research on pain and addiction. Encourage and advance pain management best practices. Health care providers across the nation are not interested in sitting around and waiting for a miracle. From a physician’s standpoint, there is a way to stop the opioid crisis and aid America back to health based on several of the priorities the HHS laid out. Telemedicine may be the solution the country is looking for. While telehealth solutions won’t replace in-person services, this technological method can act as a complementary resource to those in need. As a clinical professional working with addiction patients, it’s important to establish that relationship face to face, but telemedicine can be used to maintain and strengthen the connection between the two of you. Privacy – Patients are often worried about the social and cultural stigma that comes with attending rehab. By offering telemedicine visits, patients don’t have to interact with office staff and other peers and can instead attend therapy sessions privately. Schedule flexibility – Patients can feel like rehabilitation puts their entire life on hold, and this sentiment could be the reason that some are not willing to put forth the effort. With remote care options, however, patients find the flexibility to fit therapy sessions into their schedules. Access to treatment – Driving long distances for care is taxing on time and money. If patients have remote care access available at a nearby clinic, they can reap the benefits of addiction treatment without the hassle that comes with commuting. If you want to improve the addiction treatment resources at your hospital or facility, it’s time to consider telemedicine. Now more than ever, the country needs service options that cater specifically to patients’ wants and needs and can beat logistical barriers holding them back from receiving proper treatment. Chemical Dependency Assessments: Is Everything Moving Online? The answer to that question is yes, everything is moving online. In the majority of industries, you will see an aspect of what they do move online, or at least a version of it. From clothing sales to doctor visits each industry is desperate to harness just a little more of the online power. At Hybrid Counseling we have realized that we can reach more people this way. Unfortunately, many people and companies in the mental health and especially chemical health industry have been slow to make changes in using mobile technology to increase access to services. With the growing research that treatment works and individuals in long-term recovery benefit from continued support it is important to grow and changes as well. Calling your county to schedule an assessment a month away, or getting an assessment from a treatment program only for them to refer their program as only option compound the first challenge, getting an un biased assessment. Addiction is a disease, a complex one, it should be treated that way. One of the complex elements is time. Organizations that move toward mobile and online assessments are simplifying that complexity. At Hybrid Counseling, we integrate in-person and online solutions for individuals and families whom substance abuse and mental health disorders affect their lives. We strive to use cutting edge research, evidence-based best practices methods and technology you help you save time and money reaching your goals for yourself or a loved one. Providers who offer mobile chemical health assessment are extremely rare, especially ones who use the highest standards of assessment and screening for substance abuse and dual disorders. We will do the assessments on your time and work hard afterwards to provide whatever other service you need to move forward. Our assessors are all licensed clinicians in chemical dependency. Our substance abuse counselors are held to the highest standard of practice in the country. Therefore, if you are seeking an assessment for a legal concern, they will be accepted. If there is concern that for some reason they may not we will do our due diligence first and if, in the rare case where they do not, a full refund will be given. If you are a service provider we encourage you to partner with us. If you know someone that is in need of an assessment, we would be honored to meet them, in person, or online.